You're lucky! 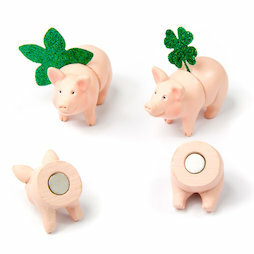 These happy piggies don't just bring good luck, they also hold on to notes and postcards. It's up to you if you want to use both the front and back part as memo holder or the individual parts separately on a magnetic board or fridge to highlight your memories.